Our bees provide one out of every three bites of food that we eat. No bees, no food, no us. It's also a commonly known fact that our bees are in trouble. Annual losses of honey bee colonies are in the tens of thousands. We are are losing our solitary and bumble bees at unsustainable rates. It will be up to the next generation to not only understand their importance, but to take action in their conservation. 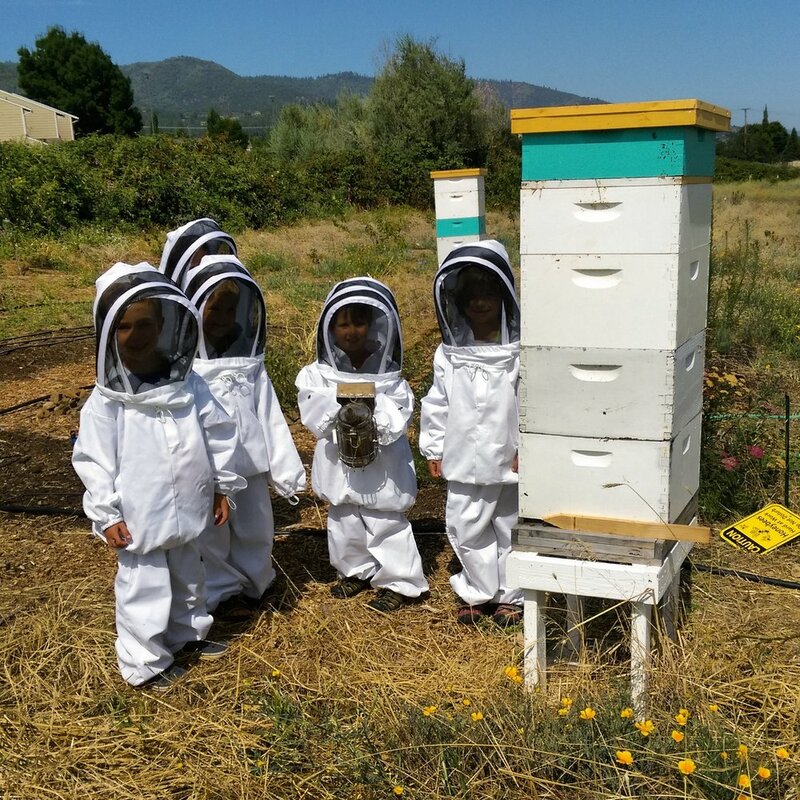 Our “Kids and Bees” program teaches kids, in a positive and engaging way, why our bees are essential to everyday life and how the kids can be honey bee heroes. Join in, and invest in our future! Start your own program, using our free e-book! Click here for the English version, and here for the bilingual English/Spanish version. If you prefer to buy a printed and bound copy of the book, order here. Check out the additional resources below to bring bee education into your classroom. 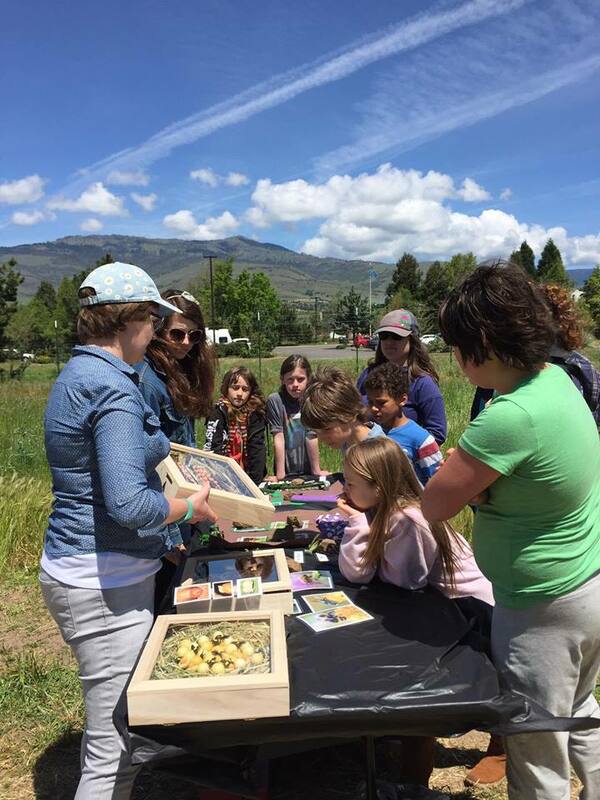 May 13th-17th, The Bee Girl organization is happy to partner with The Farm at SOU to bring bee education to students in Southern Oregon. We will host a week where Southern Oregon schools visit us at The Farm, and engage in an educational experience designed especially for third graders. Students will watch bees dance, listen to them buzz, taste honey, smell flowers, roll beeswax candles, observe pollination, take flower seeds home to plant, and learn about the important connections between themselves, bees, and our food. The “Bee Week” program is also designed to address the Next Generation Science Standards in the area of third grade Ecosystems/Biodiversity. For cost, scheduling, and more information, please contact program coordinator Phylicia Chandler at phylicia@beegirl.org or 541-708-1127. January 12: Passing It On: Educating Children about Honey Bees, a workshop at the American Beekeeping Federation Conference and Tradeshow, Myrtle Beach, SC. April 13th: AWSEM 23rd Annual Advocates for Women in Science, Engineering & Mathematics (AWSEM) Symposium for Middle School Girls. May 13th - 17th: Bee Week, The Farm at SOU, Ashland, OR. Full to capacity, contact phylicia@beegirl.org to join the waiting list. June 26th: Jackson Soil and Water Conservation District Day Camp. More information coming soon. This page will guide you to the last few years of “Kids and Bees” columns by Sarah Red-Laird, filled with information on books for kids about bees, safety and kids with bees, and more! In this lesson, students discuss bees and the importance of pollinators. They then catch and observe bees in the garden. You’ll find that stand-aligned objectives, assessments, and procedures are already written for you to a middle school level. A great resource for helping kids understand the connections between bees and their own garden! Vitamin Bee delivers huge doses of fun and much more with his curious facts about foods and the life of a bee, kid-friendly recipes and tips, all wrapped up in his love of music, art, and silly antics, that will inspire kids to make healthy choices, one episode at a time. Vitamin Bee also encourages kids, families, and schools to learn and work together in order to build the support needed to create a long-lasting healthy environment. A fun, musical introduction to the waggle dance explained by well-recognized Phineas and Ferb characters. It’s a catchy song that the kids are bound to be singing for days! An episode where the SciGirls use math, mapping and data visualization to help a colony of bees thrive in a downtown Phoenix neighborhood. Learn the basics of setting up a happy healthy honey bee hive in the city. This episode also teaches kids about mathematical survey techniques that can be used to quantify the number and diversity of plants in a neighborhood. Great for encouraging young girls to get excited about science and bees! A kit available for purchase that includes 10 lesson plans with pre- and post-tests, worksheets, relevant materials to each lesson. Lesson are geared towards children grade 3 to 6 and can be approached a few different ways: using school land to create/augment a garden habitat, using other demonstration areas to create/visit garden habitat, or using only in-classroom lessons and on-line experiences without a garden. A wide range of resources including: bulletin board illustration/information cards, lesson plans for grades 2 to 8, recommended reading for students and teachers, and link to additional resources for teachers and students. This website covers all forms of pollinators, not just bees! A wide range of materials and approaches here—excellent! A blog post from U.S. Fish and Wildlife’s Pacific Region about the importance and diversity of pollinators. The post discusses an ongoing study inventorying the bee species present on wildlife refuges and the implications of the results. It also discusses pollinator decline. People all over the country are collecting data on pollinators in their yards, gardens, schools and parks. This project takes counts of the number and types of pollinators visiting plants (especially sunflowers). They have been gathering information on pollinator service since 2008, and now have the largest single body of information about bee pollinator service in North America. Utilizing their thousands of observers, they can determine where pollinator service is strong or weak compared to averages. An entertaining description of honey bee relating to their lifestyles and importance. It includes a few fun facts like how large they are and how fast they fly. An awesome description of how to make a clay bee and bee hive! The website also includes some information on topics such as threats to bees and bee life cycle. A short video to find inspiration for your own “World Honey Bee Day”! An extensive resource for teachers that includes 13 different activities, accompanying worksheets, and an educator’s overview on each topic. The overviews are a great resource for those who want to teach about bees but may not know a whole lot themselves! From Disneynature, the studio that brought you "Earth", "Oceans", "African Cats" and "Chimpanzee", comes "Wings of Life" – a stunning adventure full of intrigue, drama and mesmerizing beauty. Narrated by Meryl Streep, this intimate and unprecedented look at butterflies, hummingbirds, bees, bats and flowers is a celebration of life, as a third of the world’s food supply depends on these incredible – and increasingly threatened – creatures. nter the fascinating world of honey bees with this imaginative and educational game! Children will delight as they become part of a swarm in search of a new nesting site. 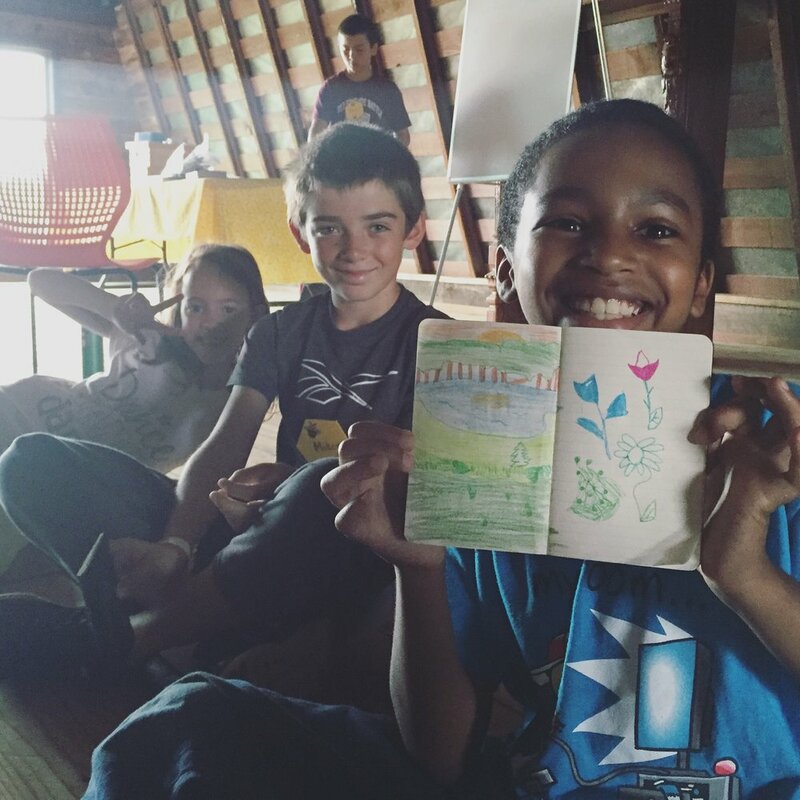 Each child assumes the role of a worker bee with special job assignments to help their colony grow. As they act out their jobs, a compelling tale unfolds: The Story of Bees! Children will buzz, run, sing and dance their way through colony life all while learning real, factual information about bees. They will face threats, make sacrifices and overcome it together, illustrating the benefits of teamwork. The Story of Bees! is flexible and can be played in a variety of settings with mixed ages and with a large range of group sizes.